How to apply for compensation for the indirect costs of the EU Emissions Trading System (EU ETS) and the Carbon Price Support (CPS) mechanism. 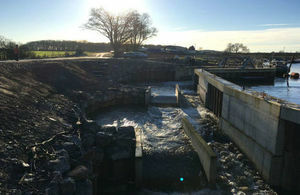 Use form (WR317) and guidance (WR318) to apply for permission for a hydro-electric power scheme. Sector contact list: Climate Change Agreements (CCA).